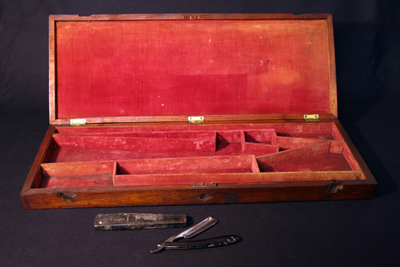 These items belonged to Brigadier General James J. Pettigrew, whose brigade marched to Gettysburg, Pennsylvania and took part in the assault known as Pickett’s Charge in July 1863. Pettigrew died several weeks later. Worn by Private Isaac Byrum Jr. who, as a typical resident of the Albemarle Region, was a farmer and owned no slaves. At the age of 21, he enlisted as a Private in Company M, 1st regiment NC Infantry. In february 1862, he re-enlisted in Company F, 11th Regiment NC Troops. At the Battle of Gettysburg, Pennsylvania Byrum was wounded in the left leg and was thence amputated. After the war, he returned home to his farm in Ryland. 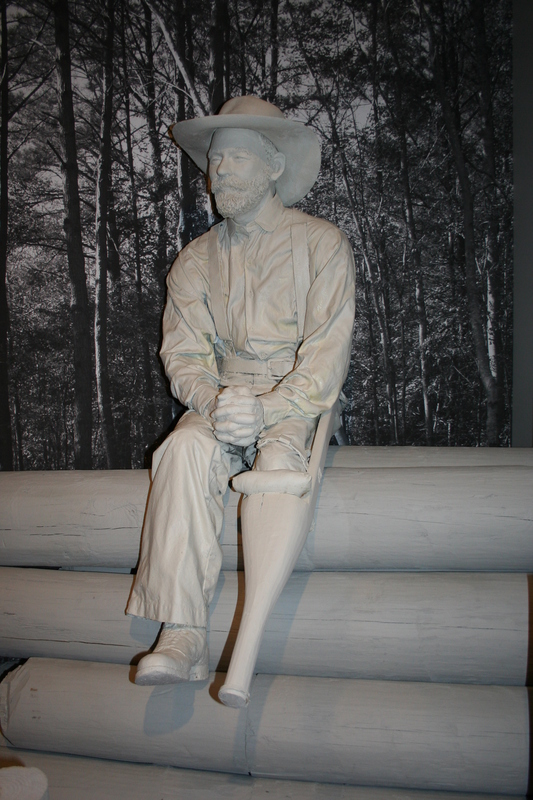 The original prosthetic leg can be found in Our Story, the Museum of the albemarle's main exhibit. 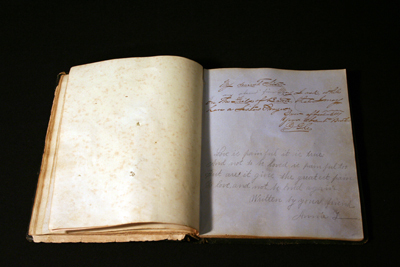 Though owned by Emilie Cowand, the book was signed by her brother David of Company L, 12th NC Regiment (2nd Regiment NC Volunteers) as he left for the “Field of Battle”. David participated in the Battle of Gettysburg and later surrendered and was paroled at Appomattox Courthouse on April 12, 1865.